Thread collab/31097 hidden. Unhide thread Threads not staying hidden? Try resetting your hidden threads. So while we ride out the mudfest this is the new MLPG. No one posts in this dead section anyway. Thread collab/31131 hidden. Unhide thread Threads not staying hidden? Try resetting your hidden threads. 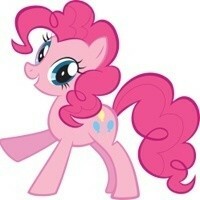 I have this little project of mine, a site to make it easy for ponies to engage in roleplay with their OCs. It's now online for a bit over a week, and I've had to see some issues with the reception. 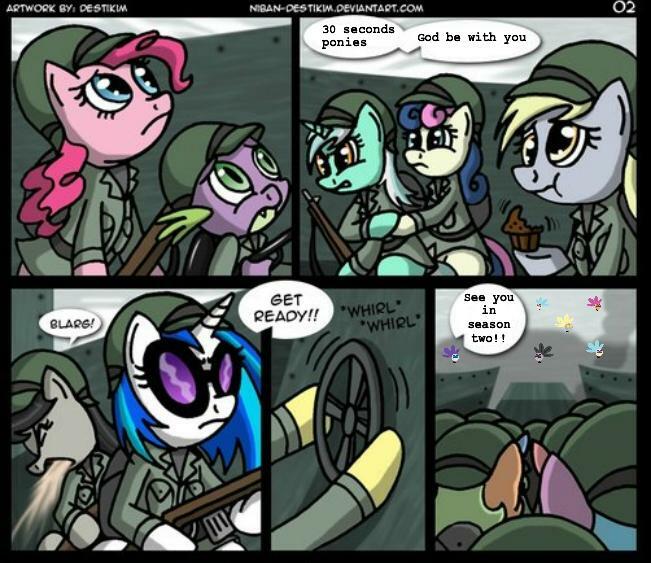 For now, people make an account, create a pony, make a chat room perhaps, and leave the site. Asking users, I often hear the site lacks a central spot and overall has a very incomplete feeling on it. Well, it is incomplete. I had to realise that I have ideas, no concepts. This is a clear case of Programmer's UI, the site is simple, stripped. And overall, it seems to "difficult" to start an RP there. The lack of RP leads to people not starting any. To cut it short, I need help of somepony experienced with website design. I do all the programming, I am good at programming, but I need some collabs for concepts, site design, menu design etc. 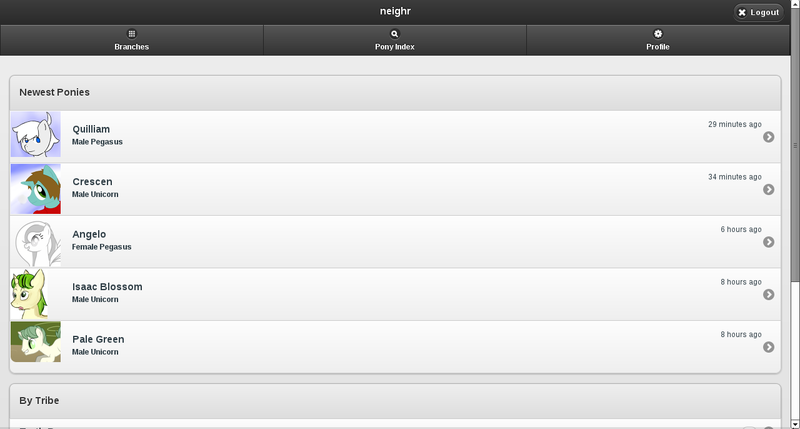 I forgot to say, the site can be found at neighr.com. Thread collab/31069 hidden. Unhide thread Threads not staying hidden? Try resetting your hidden threads. Howdy y'all, not sure if this is the right area, but oh well. I'm needing a little help with something. 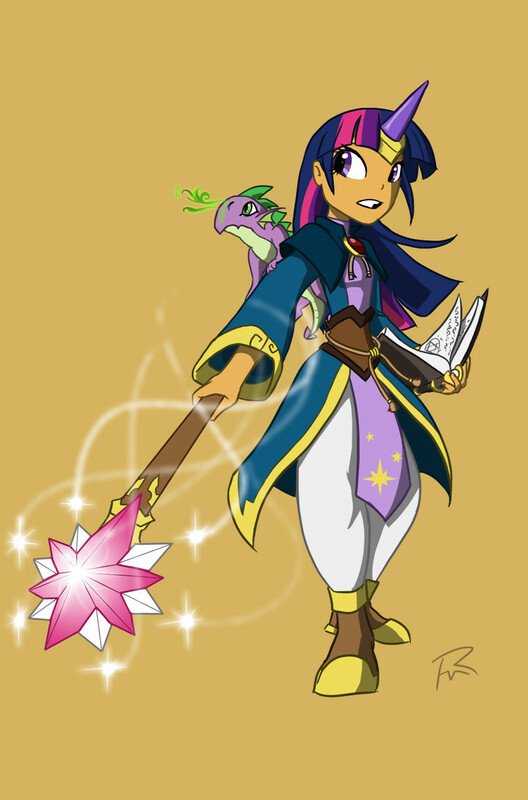 I've decided to make a Total Conversion mod for Dungeon Defenders starting our 6 favorite ponies. 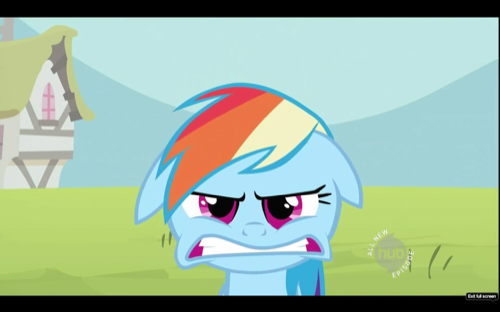 But before I can do this I need to create skeletal meshes, which I'm a little weak in for each of the mane 6. After that I can modify them as needed. I would prefer to do a full ponified version of the game, but if I have to then I will just go with the humanized versions of the mane 6 like the picture. Thread collab/31064 hidden. Unhide thread Threads not staying hidden? Try resetting your hidden threads. Thread collab/31063 hidden. Unhide thread Threads not staying hidden? Try resetting your hidden threads. Hey /collab/ here's the deal, a friend and I have one night to make a super smash bros style mlp game it will be online borny to brony smashfest. If this works we might think of doing more, the problem is the lack of sprites. 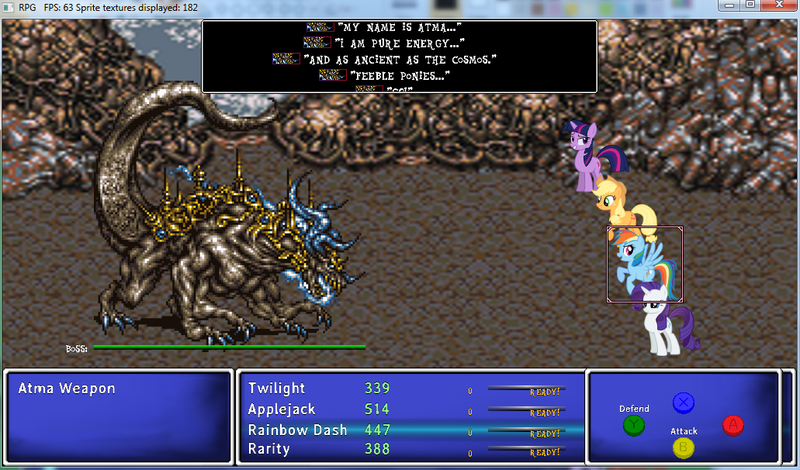 If Anypony can or will create sprites for this game it will be running TONIGHT. We only need sprites for 2 ponies, equal amounts of sprites, what ever style you see fit. 6+ attacks, walk, run, jump, anything else you'd like to see. Find em, Make em, Discuss em, We need em. Thread collab/30992 hidden. Unhide thread Threads not staying hidden? Try resetting your hidden threads. 2.Fill in the sheet however you want too. 4.I'll turn them into cursors! My DA is http://angelkat34.deviantart.com/ and I will upload the ponies separately there.That way you don't have to wait for the next version for new cursors.OCs will NOT be included on new versions of My Little Cursors,but instead be on here,just titled My Little OC Cursors.Also,you can request ponies on the show and give vectors for them,but you don't have too.So...Happy Cursor Year! Does anypony actually have proof of the Aunt Orange sprites being stolen?If not,why are we just "assuming" that they are?Would you like your hard work claimed to be stolen when it's really not?Who knows if it's stolen or not?And maybe we should ask others if they've made Aunt Orange sprites. Im not assuming that it's stolen, but I'm not assuming that it's hers either. If you look at all her work before and after all the creating that she has done has been lacking. 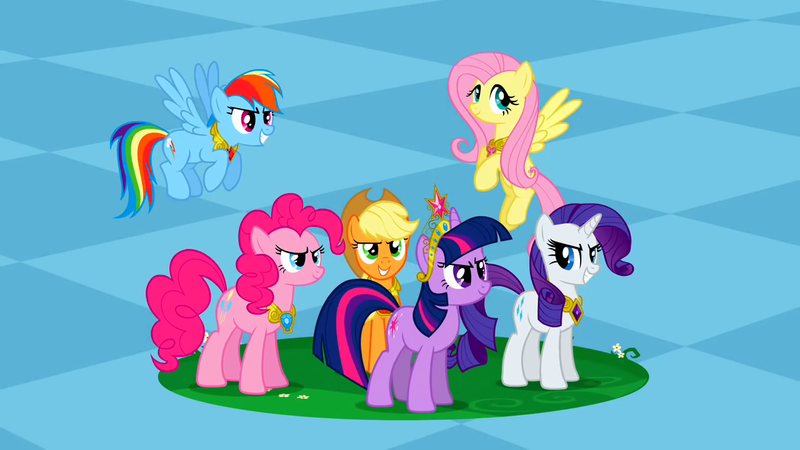 The only ones that looked allright are where she took somepony else's pony and tried animating it or recoloring, though the animations were always a bit choppy. So while I dont for a second doubt that she animated that sprite. I have a hard time believing she designed it. ie. the hair and necklace. No one from the current desktop pony team remembered making her so there is the small possibility she did make her which is why I've only said probably stolen. Normally I would have given her the benefit of the doubt but she kept doing wrong again and again so much that by the time this came up I just couldn't. Anyway good luck on creating your own aunt orange sprite Rainbowshy. Looking forward to it. 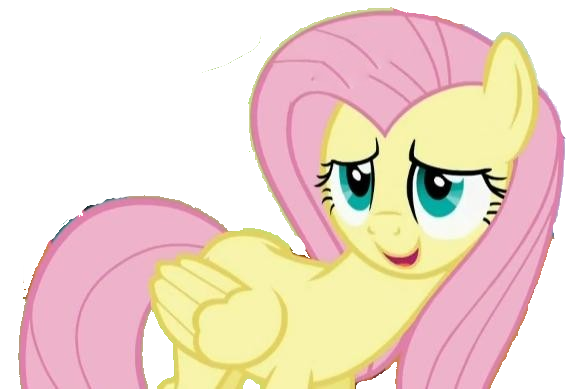 You know that back then, Ponyluver said she would prove her innocence by spriting any other pony they could ask to her, because her skills were real and she totally not stole anything? Except that she immediately backpedaled from her own word, because she didn't expected to get a request that -didn't- involved just recoloring a premade animation, and her solution to this new problem was simple: forget everything and pretend she never promised anything. 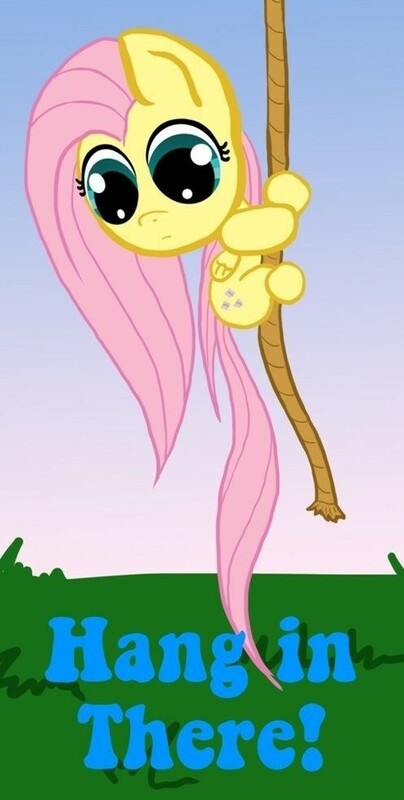 Months later, we are still waiting for the "proof" she promised to show everypony. Meanwhile, everything she has tried to submit since then have been nothing but plain recolors, mediocre edits or just other people's animations with some minuscule changes and her name slapped on them. The level of skill she claimed to have back then was never seen again. Thread collab/30866 hidden. Unhide thread Threads not staying hidden? Try resetting your hidden threads. 1. 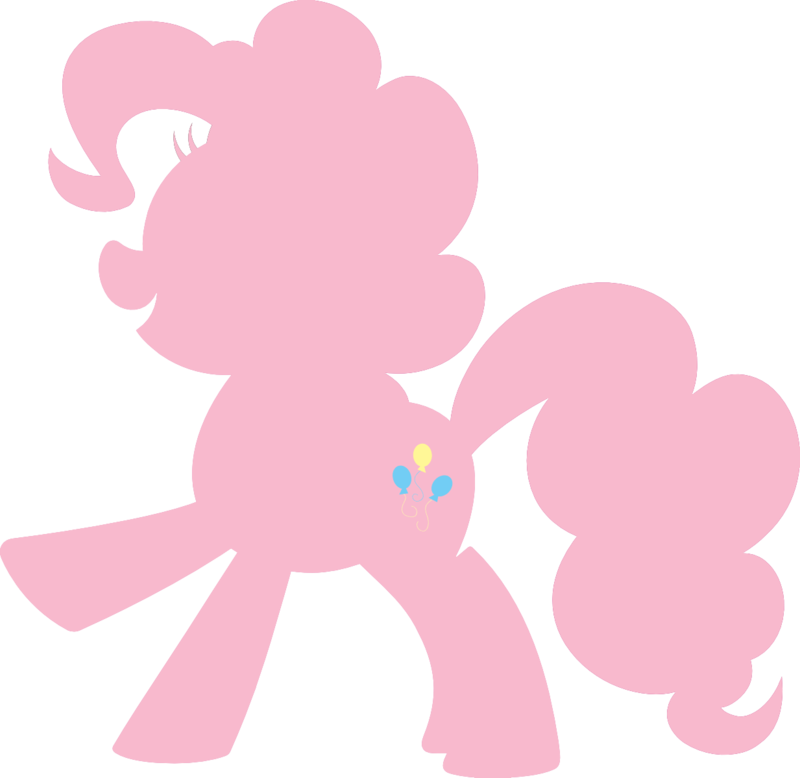 How would I take a vector like this (see post image), take all the color that makes up pinkie pie into a single solid color; eliminating line details such as hair curls and eyes while maintaining the crisp shape of her outline? The paint-fill tool doesn’t work for parts that have lots of interlacing lines or gradual color changes and I don’t have a steady enough hand to hand-fill the outer pixels without butchering the overall shape of the vector (which is the primary focus). 1.5: How would I do the above but protect their cuitie marks (and only their cuitie marks) from being filled with a single color and, instead, fill them with a different solid color (losing their details but maintaining their shape). 2. How can I compile a bunch of different vectors into a single image and re-size each individual vector so I can make it match the general size and ratio of the others within the same image? I’ve experimented using the ‘more sizes’ option on google images when getting my vectors, but even with that, some vectors have a thicker whitespace than others, leading to different sized ponies that need a few tweaks to look similar in ratio. is this sort of what you wanted OP? 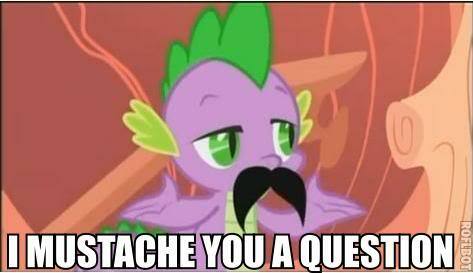 Sorry I didn't know somepony already answered your question. Yeah it was answered already. But thanks for offering. The way Sim City 4 region upload works is that it reads off of greyscale maps, with each shade representing a different height. I also realized that it trims and normalizes height differences, meaning the cuitie marks probably wouldn't have turned out looking proper in game since they would have been smoothed over too much, so I decided to just go with the outlines. Thread collab/30827 hidden. Unhide thread Threads not staying hidden? Try resetting your hidden threads. Hello again everypony. I made a post before concerning making a Friendship is Magic mockumentary. A friend and I have typed up some scripts for a demo of it. If you are interested in voice-acting, send a clip of yourself doing one of the line to my email. Email me also if you have anything to say on improving them. 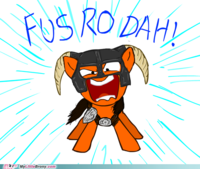 Now if you'll excuse me, I'm off to play Skyrim. Just to get straight to the point, the characters that need voices are each of the 'mane' six and Spike. Furthermore, you don't need to send in lines from the script. Honestly any lines from the show or just ad lib lines will do. Just be sure to email the lines (if you are interested) to me at [email protected] Thanks and have a happy New Year! Well, that rules me out. Thread collab/30890 hidden. Unhide thread Threads not staying hidden? Try resetting your hidden threads. Getting kinda crowded with these, eh? - Custom built engine, made by me. Not game maker. Not RPG maker. This means pretty much no limits except how much time I'm willing to spend implementing things. - Unique battle system. Tired of the final fantasy and dragon warrior ripoffs? Here's something similar, but completely different at its core. No long in-battle cinematics. No huge menus. Everything is realtime and simultaneous, with all actions selectable with 2 button presses, for fast and simple gameplay. No spamming the A button and occasionally healing to win, here. - (Capacity for) Hi res sprites. Not obvious right now since I'm using crappy programmer art and vector rips, but my graphics will not be pixelated. 32 bit color rather than small palettes. It's not going to be pixel art here. - A dedicated project leader that won't flake out on you. Okie dokie, I'll just see what else is going on for the time being. I do hope you'll use those pre-rendered background that FF7 and FF8 used, I really like those 2 rpgs. I don't know anything about the older games. haven't downloaded it, but judging from the screenshot. It looks a bit like the Valkyrie Profile series. Valkyrie Profile is probably the second biggest inspiration for the battle system, next to FF6. Unfortunately there's no comboing or juggling, but the idea for simultaneous attacks rather than taking turns came from that game, as did the various controller buttons corresponding to different attacks. Valkyrie profile proved to me traditional turn based battle systems aren't a complete dead end; prior to playing it I thought every RPG was going to go the action route (kingdom hearts, skyrim, etc) or tactical (final fantasy tactics, etc). Too bad the sequels sucked. Progress report: Work has started on actual game content, with the new prologue/tutorial about half done... using a ton of placeholder art of course. I've got a couple people working on graphics now, but more is definitely better, especially anypony wanting to make animated sprites or backgrounds. Thread collab/30968 hidden. Unhide thread Threads not staying hidden? Try resetting your hidden threads. Well, what skills do you have? Thread collab/30912 hidden. Unhide thread Threads not staying hidden? Try resetting your hidden threads. What I'm asking is; If I opened animation commissions to make short 'episodes' with your own characters, what prices would seem reasonable? TL;DR What would you be willing to pay to have your OC voiced and star in their own mini-episode? I'm going to give you a heads up and say that unless your extremely lucky, free is going to be your best deal. Besides, I'm not positive but I think profiting off the franchise, wither OC or Cannon is still Copy Right Infringement. Not long ago, the Mods banned a guy who was suggesting payment for people taking commisions for fangames. The Mods claimed that they had no right to, and were entitled to absolutely nothing for their (fan) work. Just saying, so you could avoid yourself some problems. Ahhh... Very valid points... Thanks guys, I'll tread carefully - I already have a two people who want to buy an episode slot and I've already built an animation team, together with sound mixers, music composers, SFX and 3 voice actors. Thanks again, I'm usually good at avoid copyright issues! Thread collab/30960 hidden. Unhide thread Threads not staying hidden? Try resetting your hidden threads. Thread collab/30780 hidden. Unhide thread Threads not staying hidden? Try resetting your hidden threads. You are a pony, an OC of your making. 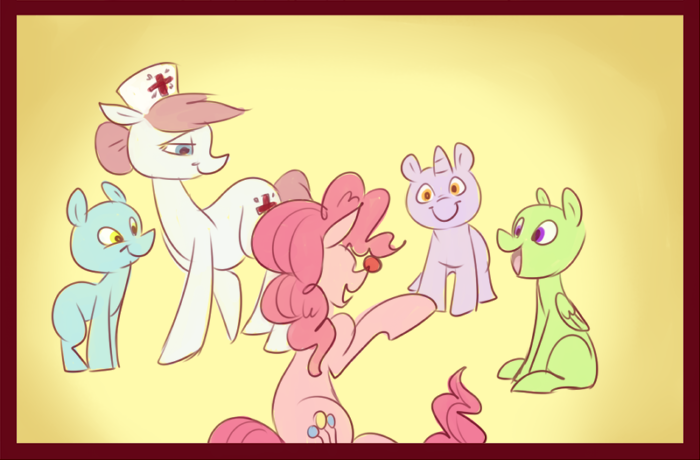 and you just arrived in Ponyville, mingle with the locals, help them out, do some quests, become a member of their town, make friends and strong foundations. But all is not as it seems, as a new element of Disharmony has arisen, Malice. 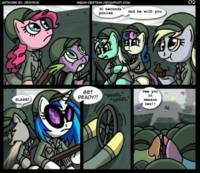 Fight baddies, help ponies, and decide the fate of Equestria. Travel across the land, going to cloudsdale, Canterlot, Ponyville, Fillydelphia, Trottingham, and the Everfree, in attempts to save the world from the hate that now corrupts the land and chokes out all happiness like some dark twisted weed. No. I'm saying ONLY having a plot to start from before asking for help is worthless, as ideas are VERY cheap. At least have done a substantial amount of coding OR art for the game before you ask, to prove to contributors you have something unique here. Well I have some half-finished concept art of Malice and a few key areas of gameplay, but they're still in the inking phase. Keep on mind that people can't see the ideas inside of your head, so whenever a person opens a thread to announce a project but doesn't provides visual proof, everything that person says and promises is automatically taken with a grain of salt. After all, a promise is nothing but words and most of time, enthusiasm makes people promise things that are way, way far away from their real possibilities. Think small, promise even smaller and work your way up from there, that alone can make a huge difference. Thread collab/30901 hidden. Unhide thread Threads not staying hidden? Try resetting your hidden threads. Thread collab/30675 hidden. Unhide thread Threads not staying hidden? Try resetting your hidden threads. Because Christmas is the time of giving, we are inviting the whole brony community to show the Element of Generosity and make a difference in the lives of many children. Few things are as devastating as a child diagnosed with a life-threatening illness. Young patients and their families are quickly thrust into an unfamiliar and often frightening world of medical decisions and hospital protocols. At the same time, they are typically coping with emotional upheaval and financial anxiety, and their needs go well beyond what even the best medical care can provide. But together, we can be the rainbow that will make them want to smile forever ! The Children’s Cancer Association, a top-rated, award-winning charity, provides supportive mentors to these children and brings friendship in a time of loneliness, soothing music in a time of crisis, resources in a time of turmoil and vital support in the midst of life-threatening illness. 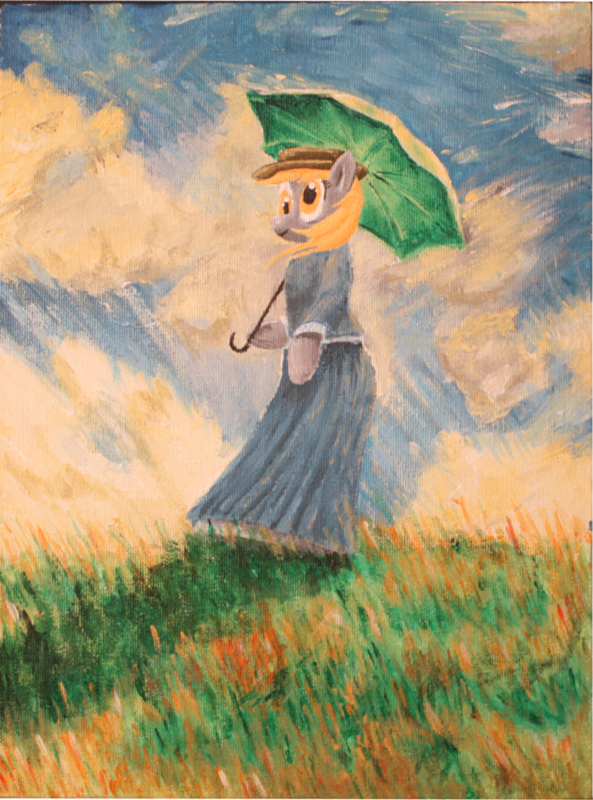 More than 40 talented artists have already offered their talent to support this cause in the brony way : giving back. As a very special Christmas gift, every single donor will receive a digital copy of an exclusive music album. The involvement of the music community over at My Little Remix is truly amazing : in only a few weeks, and despite their high quality requirements, we are now looking at a 74 minute-long production ! Those who had the chance to listen to the teaser can tell you how high the quality bar is set. It also shines by its diversity : Classical, Electronic, Acoustic, Dance, Drum & Bass, Rock and Jazz are only a few of the musical genres featured. They are now in the final phases of mastering, and aim to have it ready in a couple of days at the latest. Donate now and you will be e-mailed a digital copy as soon as it’s done. We will also be sending solid copies of it to the Children’s Cancer Association to let the kids listen to it and know that out there, even complete strangers care about them and put in that much work, just to make them smile. Bumping because WE JUST REACHED $3500 ! Keep it going ! 100% of it goes directly to the Children's Cancer Association, and you even get tax deduction ! Their Event Manager is on holidays right now, but this is also supposed to be officially posted on their site. The album should be released later on the 26th, and includes 83 minutes of music ! Be sure to follow the instructions so that you can get it as soon as it's released. Thanks to everypony for being so awesome, and happy holidays ! 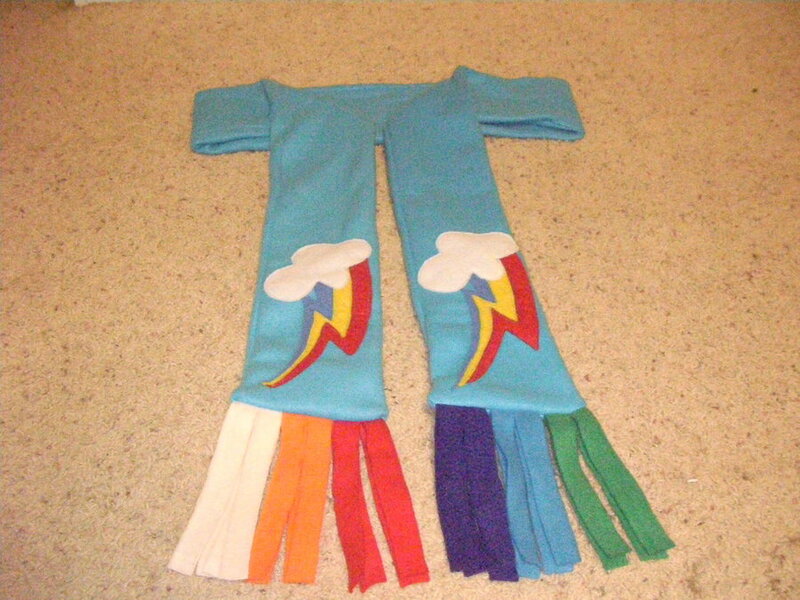 Everypony who already donated while following the instructions should have already received it. If you didn't, please send us a mail at [email protected], we will be happy to send you back the album as soon as you do, as well as make you eligible for the extra prizes ! 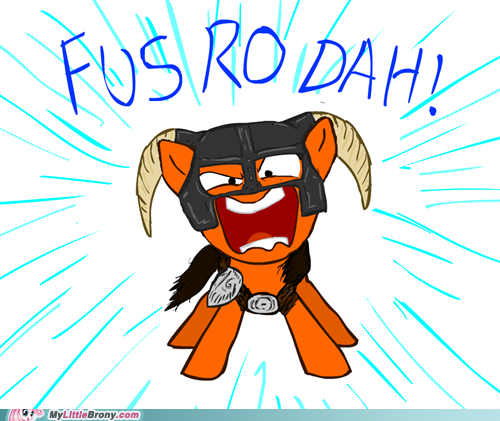 Big brohooves to everypony who helped raising more than $9000 as of now, and enjoy your music !